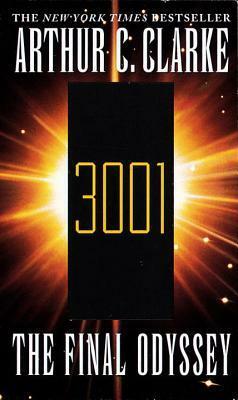 3001: The Final Odyssey is the fourth and final book in Arthur C. Clarke’s Space Odyssey series. It concludes the story more than a thousand years after it began. You’d think it would be an adventure to see an amazing future. Well, there was something major missing. The story is actually quite simple. Frank Poole has been revived after drifting through space and has to learn a lot about this new time. He spends much of his time being a kind of celebrity, but finally does go to Ganymede and check out Europa. The story moves slowly without much happening, other than his daily life and learning new technologies. There’s been a shift in language, so he has to learn that, too. He also learns about what happened to Jupiter, Dave Bowman, and HAL. And of course, talking to Dave is his goal. Frank doesn’t really stand out much. He’s a very analytical person, but he seems to go with the flow a lot. He’s always very accepting of every situation. His main friend is Dr. Indra Wallace, a woman fluent in 21st century English, and the person assigned to help him with his transition. Their friendship grows quite strong. Dimitri Chandler is an old-fashioned spaceship Captain who also befriended Frank. He’s a bit rebellious and I felt was a bit of a bright spot in this book. He wasn’t very plain and liked adventure. And then there’s Ted Khan, an old friend of Indra’s, and a man who absolutely loves having Frank to talk to. He lives on Ganymede and is a kind of philosopher. He has an intense interest in Europa. And finally, Dave Bowman and HAL are just shades of their former selves. They basically have no personality. The setting is quite interesting. The Earth has four very tall towers that go out to the geostationary orbit level. We get to see a lot of this, as half the book is spent there. Very imaginative, and I’d love to explore it myself. The other half is on Ganymede and Europa. I didn’t get as good a feeling about Europa as I did in 2061. Not particularly enthralling. The story itself was the thing that disappointed me the most. While reading about Frank learning all about the way Earth was in the 31st century was interesting, any kind of conflict that happened was met with calmness and acceptance. In fact, there seemed to be nothing adverse at all. All experiences were positive, lacking in any kind of tension. The biggest threat of the Monolith was handled in such a way that seemed like the easy way out with little to worry about. There was absolutely no tension! 2001 had a lot of tension. 2010 had plenty, as well. 2061 also had a lot of tension. But this book had none. I was completely let down by the ending. It’s like Clarke wasn’t even trying. So, from an amazing start in 2001 to a good sequel in 2010, then a decent third book in 2061, we have a final volume in 3001 that makes me just want to say, “meh.” I give this a 2 1/2 out of 5 stars. Recommended? Maybe, if you like overly optimistic science fiction about a society that seems rather uninteresting to live in despite the amazing technology. It seems I’ve been hearing a lot of reports from authors on their blogs about how they’re now losing a lot of profits from their book sales on Kindle Unlimited. Despite money being injected into the system by Amazon, the number of books keeps increasing and they get lost in the crowd. New York Times has an article all about this. So, is it worth going into Kindle Unlimited? I had some hopes before that it could generate sales. But if the amount of money being given to authors for borrows is getting smaller and smaller, there seems to be no benefit for them. Now down to $1.39 from $1.80, it seems anyone selling a book worth more than $2 is now losing money. Imagine those selling for $9.99! I can see it being worth using in one case, and I will be giving it a try when I have my solar system short story series ready for publishing. I’d be setting the price at $0.99 each, which means that I’d only get 35% royalties from Amazon (so about $0.35 each). But with Kindle Unlimited, it would be approximately 4 times as much. That’s a big difference! And my series will be 9 books long, so for a regular customer, that would be $8.91 for the customer and $3.12 paid to me if a customer buys all books. Through Kindle Unlimited, I’d get $12.51 at the current payment rate if they downloaded all 9 books. Not bad at all! Now, I won’t use this system for full-length novels. It’s not worth it. I want to sell them elsewhere, as well. KU requires you to sell exclusively at Amazon. What do you think about how Kindle Unlimited is going? Any of you trying it? It’s here! But I cheated and got it early. I love getting these reports around the new year. Some interesting things are that I’m on a streak of well over 200 days of posting, and my number one commenter is Sierra, as she almost always is every month. The first intelligent species to Earth attacked without warning, and only three colony ships escaped. 150 years later, planet Darien hosts humans at peace with indigenous scholarly Uvovo. Buried on the forest moon are secrets of an epic battle between ancient races. In a galactic war, what will Uvovo choose, when their nature is revealed, and the enemy comes? 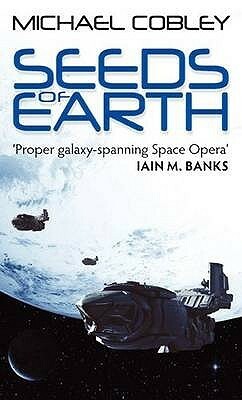 Seeds of Earth is the first novel in the Humanity’s Fire series by Michael Cobley. It’s a space opera that takes place mainly on one planet, as well as several other locations in the galaxy. Seeing that it was endorsed by Iain M. Banks, I had high hopes for this. I wasn’t completely satisfied, unfortunately. The premise is interesting, though not very original. Humans have a colony on a planet, studying the history of the indigenous species, and going about their lives in their Scottish/Russian/Scandinavian society. With the threat of war because of a powerful alien species claiming the planet, it looks to be a very tense book. There’s a lot of politics, fighting, and even some romance and adventure. Sounds great, doesn’t it? The story actually is interesting, and I enjoyed that aspect. However, there was something missing. The characters were a varied bunch, but I had some major issues with them. Greg Cameron seems to be the main protagonist, but there are several. He’s a nice guy, a good archaeologist, and a very standard lead character who doesn’t show much personality. Catriona is his love interest. She’s a super-intelligent scientist who shows more personality than Greg. Then there’s Greg’s uncle Theo who is the rebellious sort and shows probably the most interesting personality of the entire cast of characters. Also, we have Cheluvahar, Greg’s Uvovo friend. He’s a native of the world, and they are an interesting species. Very friendly character. Ambassador Robert Horst provides a major part in the story, and he has a rather strange obsession with his dead daughter. He’s not very compelling, though. And finally, we have Kao Chih, who’s from another human colony, and he’s making a rather haphazard journey across the stars to get to Darien. He’s kind of naive, but overall likeable. Unfortunately, I found that most of the characters were two-dimensional. They lacked depth. I had no attachment to even one of the characters. That was disappointing. The setting is good. Darien is a reasonably well-developed world, as is the history of the Uvovo. I’m interested in that more than the characters. The history and the politics of the aliens in this book is done well. However, I got a feeling similar to that of Ringworld from the aliens. They were a bit goofy or cheesy. It worked better with Ringworld because of the free-spirit kind of culture of the hippie movement that was going on at the time, but it doesn’t quite feel right with this book. It doesn’t feel like the hippie movement, which isn’t my point, but the goofiness wasn’t sitting right with me. There was plenty of action, which didn’t disappoint me. The technology was interesting, as well. 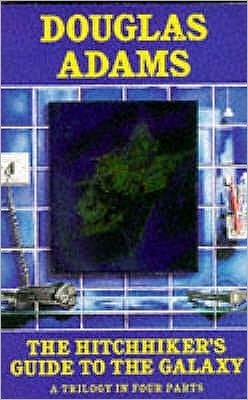 The theme of anti-AI was present here, as this is a common theme in science fiction. I can understand the motives in this case. Overall, it was a solid start, though the lack of good character development holds it back from being very good. It was decent. I enjoyed it, though. I would give it a rating of 3 out of 5. It’s recommended for anyone who likes science fiction with the threat of war or highly destructive ancient weapons. I’m looking forward to the next book. I’ve been thinking about how to go about writing my future books, and in particular, the 9 part series of short stories I intend to start writing in the second half of 2015. That is if I can finish the Journey to Ariadne web serial by summer. Edit for continuity errors, grammar, spelling, etc. Get some alpha readers to read each part and give feedback. This part is tricky. There are limits to how long a story can be on Critique Circle, but I’ll go ahead and try breaking each part down, if they are too long. I’ll submit them to CC for critiques, as they tend to be quite good at this. 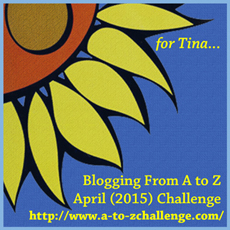 Beta readers. Hopefully it’ll be more polished at this time, and I’ll have many of the problems out of the story, better dialogue, better narrative, etc. Editing is going to be the difficult thing. I’d like it to be edited professionally, of course. That is going to be in the publish stage. This will require further research. Does anyone have any suggestions regarding the process or do you have your own way of doing it? Let me know in the comments. It’s winter. It’s cold. The leaves are all gone. I can see frost on the ground, but the sun provides a little warmth on my back. I think back to summer, how those uncomfortably hot and humid days seemed endless. In the cold winter, I think about how I’d love to have summer back. In summer, I’d go inside a building to avoid the heat and seek an air conditioner. I’d think about winter, how the cold might be nice. Or at least that’s what you’d expect me to say. 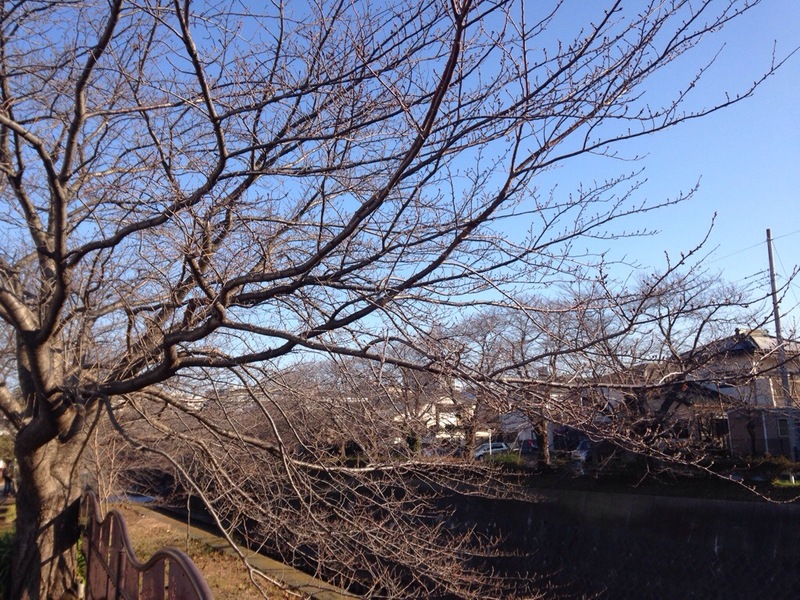 In fact, I’d prefer to stay in summer. Everyone expects me to like winter. Why is that? Is it because I’m from Canada? Most likely. But you can’t expect every Canadian to like cold weather or winter. The same goes for characters or plots in a book. You have to expect the unexpected. Or maybe you expect that unexpected situation? So expected the unexpected that is more unexpected than the unexpected that you expected. I think that’s a goal writers want to achieve. I certainly want to. One thing we need to be able to do is think like our characters. Don’t put our thoughts in the characters’ minds, but put their thoughts in ours. We need to think and talk like we’ve never thought and talked before. Not just think outside the box, but think outside the polyhedron that envelops that box. That goes for the plot, as well. Make it totally unexpected and original. But not too bizarre. That could throw off the reader so much that they can’t believe what they’re reading. While using the unexpected is very important, we have to maintain a balance between the unexpected and realism. We need readers to feel comfortable, yet always on the edge waiting for something incredible to happen. I may hate winter, but I love hockey. I’m sure you expected that last part. What are your thoughts? Leave a comment below with your opinions.